OM VISA Consultancy - Global Immigration, Students, Visitor, Business & Work VISA Consultants: OM International Brings Canada Employment Figures raise Driven by Express Entry...!!! OM International Brings Canada Employment Figures raise Driven by Express Entry...!!! OM International is one of the leading names in India’s visa and immigration sector. We, a team of visa & immigration consultants with a decade of experience and expertise in all types of visa documentation laid the foundation of OM INTERNATIONAL Career Adviser with a strong aim- to bring about a shift in how people perceive immigration by offering a hassle-free visa process. Since our establishment, every client that has knocked our door for a visa service has left happy and satisfied because we know what one exactly expects when they think of visa consultants-someone who could be entrusted for the process and serves the right value for the investment made. For the dedicated services, client appraisal & success of visas, OM International is The Best Option to fulfil your Dreams. Canada immigration through Canada Express Entry and other avenues has been the topic of much debate among conservatives who have maintained that it will create more unemployment. However, to the surprise of many pundits, the economy continued to grow stronger and unemployment figures have actually gone down, with new jobs being added at a rate that is far greater than that expected by economists. The total number of new full-time employment positions added in the period under survey was greater than the net figure of jobs, with more than 67,000 new jobs being added. A significant proportion of these jobs have been registered as a result of workers who have opted for Canada immigration under a non-skilled visa, upgrading their skills during their stay and moving from a part time to full time position. This has resulted in more jobs offering higher salaries and stable income. In spite of the currently prevailing debate in political circles. Immigration continues to be one of the vital issues in Canada’s federal election that is to be held this year. Though both Liberal and Conservative party leaders acknowledge the importance of immigration to Canada’s economy, Conservative Party leader, Andrew Scheer does not see eye to eye in all the aspects of immigration with the current Prime Minister Justin Trudeau, who advocates a strongly pro-immigration stance. However, given that as it may, the fact cannot be denied that immigrants are one of the major contributors to the strengthening of the Canadian economy and as such all political parties are likely to encourage immigration in some measure or the other. Employment trends among people who immigrate through Canada Express Entry and other visa pathways have shown that immigrants who arrived in Canada in the past decade reported a month-on-month decline of 0.2 percentage points in the month of February with the new total unemployment figure now standing at 6.8 percent. Continent wise, immigrants from Asian, African and American countries saw a greater reduction in unemployment levels when compared to immigrants from Europe. Overall the employment level for the month of Feb 2019 rose by 327,000, which is precisely 1.8 percent over employment in January 2018. The year on year change for the month of February also saw a positive increase of 2 percent over the corresponding month the previous year as 369,100 new jobs were added. This continuing trend highlights the importance of the Canada Express Entry system and the role it plays in the Canadian economy. 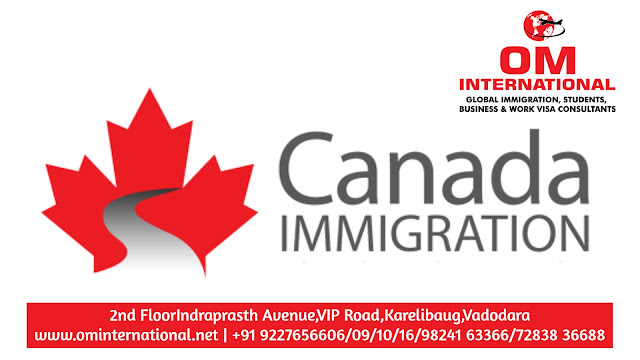 Canada immigration consultants help you to obtain your visa and meet your immigration process. They will take care of your immigration procedures that will help you to meet your goal.